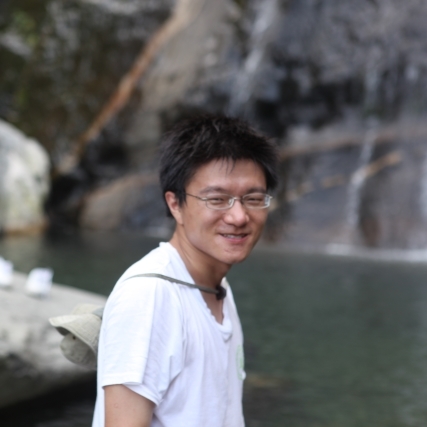 A CLP internship gave Yufang Gao knowledge and experience which reinforced his aspiration to pursue conservation as a career. I am currently undertaking a PhD in conservation and anthropology at Yale, which is where I completed an MSc in Environmental Sciences. Back in 2008, whilst I was a second year undergraduate student majoring in Biology in China, I was selected by CLP for an internship. This opportunity allowed me to take a year off from school and work as a full-time intern for the Wildlife Conservation Society (WCS) in China from July 2008 – July 2009. During my CLP internship with WCS, I was given a large amount of responsibility. With the support of my WCS colleagues, I conducted social science research to understand the conflict between people and endangered species in different areas, including the Amur tiger (Panthera tigris altaica) in Northeastern China, the Chinese alligator (Alligator sinensis) in the lower reaches of the Yangtze River, and the brown bear (Ursus arctos) in Northern Tibet. Based on the findings about inhabitants’ knowledge, attitude, and behaviour toward such endangered species, several education activities were launched; these activities raised public awareness in these regions on endangered species. I presented the results of this project at the 23rd International Congress for Conservation Biology and the 11th Student Conference on Conservation Science in Cambridge, UK. In my motherland, conservation is seldom considered a possible career path even though conservation practitioners are desperately needed given the tremendous environmental challenges facing China. Because of the CLP internship, I was able to gain significant knowledge and field experience, which reinforced my aspiration of pursuing conservation as a profession. Moreover, the professional network built during the internship helps me to boost my career by offering me more opportunities. In 2011, partly in recognition of my achievement during the CLP internship, I was given a fellowship by the Shanshui Conservation Center – the most professional Chinese conservation NGO – to spend one year with a group of Tibetan Buddhist monks in a remote village on eastern Tibetan Plateau. In 2013 while doing my Master’s research project on international ivory trade, WCS and CLP also offered great help for my fieldwork in Asia and Africa by introducing me to potential interviewees in their extensive networks. This initiated my on-going work to better understand and share information on China's role in combatting the illegal ivory trade. For two years I was Executive Director at Everest Snow Leopard Conservation Center in Tibet where I again worked on human-carnivore conflict – the topic of my CLP internship. Before returning to Yale to start my PhD in 2016, I was granted a CLP alumni networking grant to organise the China Conservation Expo, which aimed to support the development of young conservationists. The event was attended by 60 people including 28 CLP alumni and CLP partner staff, and was broadcast across China through a webcast. We also organised workshops facilitated by senior experts from WWF, Alibaba Foundation and National Geographic Society. Thanks to CLP I am now recognised as an expert working at the intersection between society and conservation. This currently focusses on illegal wildlife trade and I have been invited to advise Chinese philanthropists interested in this area, and present my findings at international events. In 2017, I published my most recent paper on human values and how these affect decisions made by local communities – those in Africa that hunt elephants and those in Chinese that purchase ivory products.